Idina stopped by Good Day LA today to chat about her upcoming World Tour! You can check out her interview above. 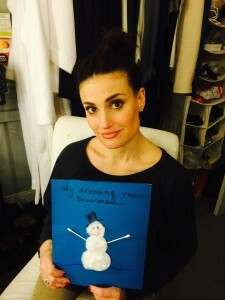 Idina talked a bit about the New York A Broader Way Karaoke event, and also plugged the upcoming event in Los Angeles. Get tickets to LA’s A Broader Way Karaoke event here. Don’t forget that she will be on the Ellen Show Thursday and the Late Late Show with James Corden on Thursday night/Friday morning!